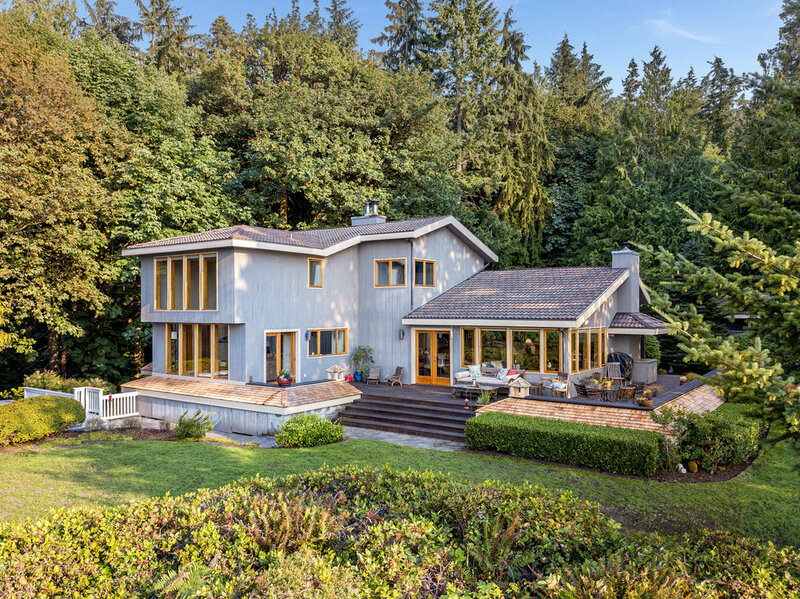 At the end of a quiet lane on Bainbridge Island’s western shore, waterfront living comes to life with timeless northwest style complemented by an Asian aesthetic. 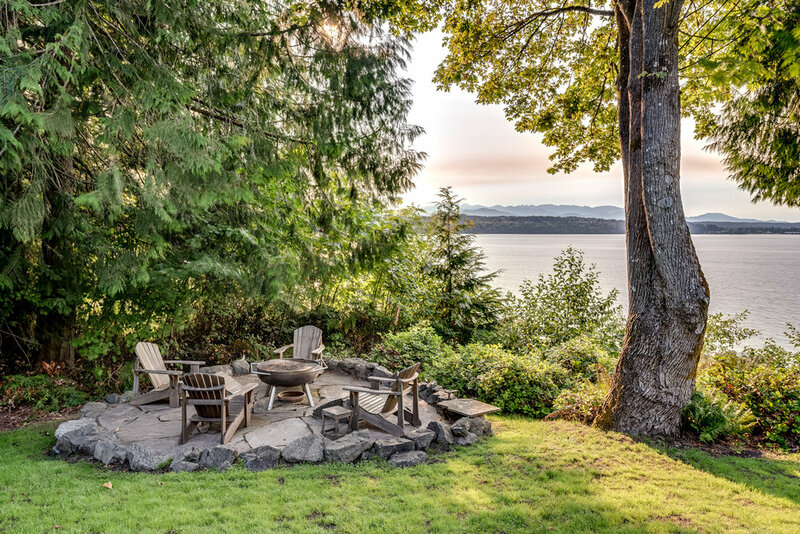 Discover tranquility like never before as the sun dapples sweeping views of the water and Olympic mountains, creating a private retreat that rivals the offerings of the San Juans. A meandering path leads to 274 feet of bulkheaded beach with boat hoist and mooring buoy for easy-access to water activities. The tile roof foreshadows custom design elements found inside. 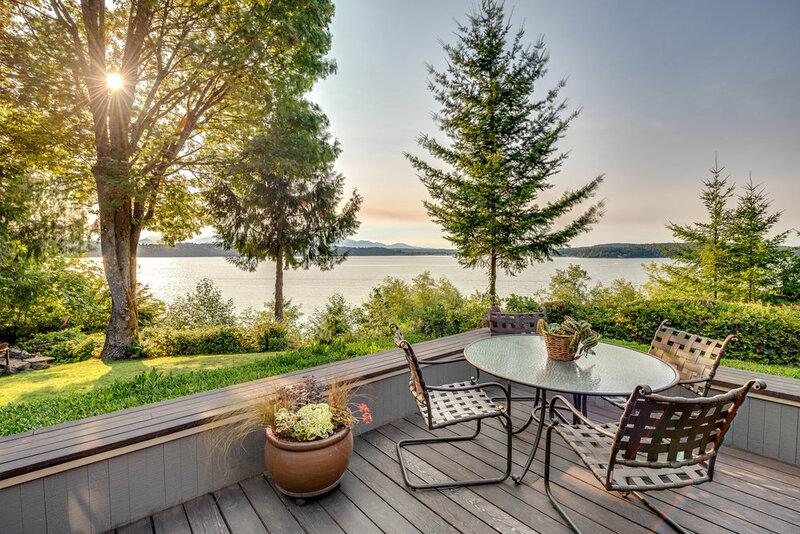 The multi-level floorplan offers spacious rooms with distinctive architecture, extensive wood detailing, built-in cabinets, and expansive decks that provide effortless indoor/outdoor living and entertaining. A detached studio provides space for work or play away from the main residence.